Second son of Siger and Violet Sherrinford Holmes, Mycroft Holmes was born at St. Sidwells, Exeter in 1847. 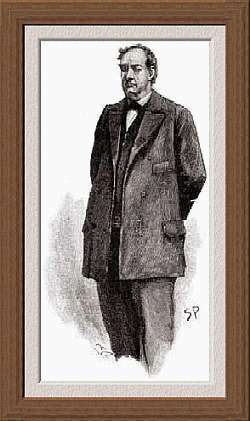 Mr. Holmes has one older brother, Sherrinford Holmes and a younger one, William Sherlock Scott Holmes. Mr. Holmes has been employed auditing books in Her Majesty's Government at Whitehall and currently holds an an essential position within the British Government. He lives in Pall Mall and is one of the Founding Members of The Diogenes Club.